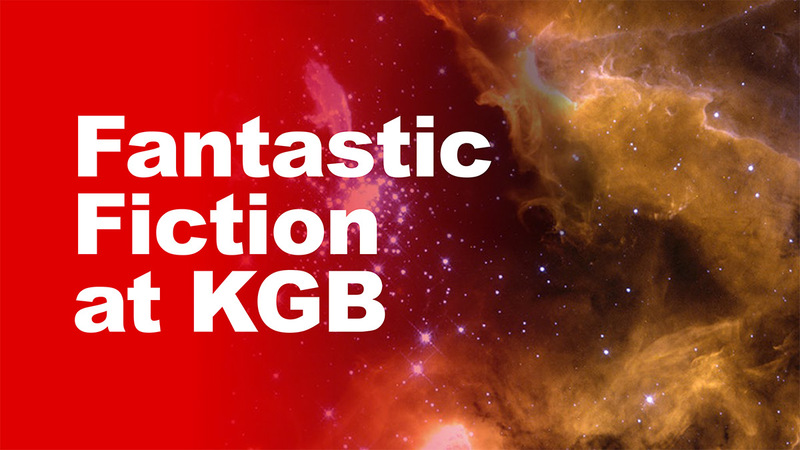 The 2017 Fantastic Fiction at KGB Kickstarter is a huge success, providing enough funds to keep the series running for at least six more years. New York, NY (June 2017) – The Fantastic Fiction at KGB reading series ran a hugely successful Kickstarter campaign from May 17th through June 14, 2017 and raised $9,771 (before Kickstarter and credit card processing fees), enough to fund the series for at least six more years. Dozens of rewards were chosen by 196 different backers. Hosts Ellen Datlow and Matthew Kressel are supremely grateful to all the reward donors, Kickstarter backers, and everyone who helped spread the word. Fantastic Fiction at KGB has always been a bright light in the speculative fiction community, and we could not have done this without the community’s help. Thank you! In addition, we would also like to send our special thanks to Kris Dikeman, who worked tirelessly behind the scenes, adding and editing new rewards constantly, and handling some of the reward delivery logistics for us. We are indebted to her for all her hard work. We would also like to thank Rajan Khanna for voicing the narration of our video. Lastly, we want to thank our audience, our guests, and the staff of the KGB Bar itself, without whom the series would not exist. You are all the best. It will take us several days to contact all the reward donors and let them know who to contact. If you backed our Kickstarter, you will receive an email from the donor of the reward (or their representative) in the next few days or weeks with instructions for delivery. If you do not hear from them by July 15th, please contact us (email addresses above) and we will follow up with the donor(s). Fantastic Fiction at KGB is a monthly reading series held on the third Wednesday of every month at the famous KGB Bar in Manhattan, hosted by Ellen Datlow and Matthew Kressel. The reading series features luminaries and up-and-comers in speculative fiction. Admission is always free. The series brings together the greater New York community of writers, editors publishers, agents and fans into one location each month. We also publish a monthly podcast audio of the readings so people who cannot attend the physical event can still enjoy the readings. Additionally, we sell the authors’ books at the events through Word Bookstore Brooklyn. Fantastic Fiction is a great place to hear and meet talented new and veteran authors, as well as make valuable connections and meet new friends. The series is hosted by veteran editor Ellen Datlow and award-nominated author Matthew Kressel. Ellen Datlow has been editing science fiction, fantasy, and horror short fiction for over thirty-five years as fiction editor of OMNI Magazine and editor of Event Horizon and SCIFICTION. She currently acquires short fiction for Tor.com. In addition, she has edited more than a hundred science fiction, fantasy, and horror anthologies, including the annual The Best Horror of the Year, Lovecraft’s Monsters, Fearful Symmetries, Nightmare Carnival, The Doll Collection, The Monstrous, Nightmares: A New Decade of Modern Horror, and Black Feathers. Forthcoming are Haunted Nights (with Lisa Morton), and Mad Hatters and March Hares (stories inspired by Alice’s Adventures in in Wonderland and Through the Looking Glass and What Alice Found There). More at http://www.ellendatlow.com/. Matthew Kressel is a multiple Nebula Award-nominated writer and World Fantasy Award-nominated editor. His short stories have appeared in Tor.com, Lightspeed, Nightmare, Clarkesworld, io9.com, Beneath Ceaseless Skies, Interzone, Electric Velocipede, Apex Magazine, and the anthologies Cyber World, Naked City, After, The People of the Book, and The Mammoth Book of Steampunk, and elsewhere. His work has been translated into five languages. His first novel, King of Shards, was hailed as “Majestic, resonant, reality-twisting madness,” from NPR Books. Kressel is a member of the Altered Fluid writing group. He created the Moksha manuscript submissions system, currently used by a majority of the largest speculative fiction publications. By day he works as a freelance web designer and full stack developer for small and large businesses. More at http://www.matthewkressel.net/. Each month we give the authors a small stipend, we tip the bartenders (who always give the authors free drinks), and we take the authors and their partners/spouses out for dinner after the reading. Since it typically costs us around $120 per month, we need $1500 per year to maintain the series. We were looking to raise $4500, which would allow us to keep the series running for another three years. Each additional $1500 let us run for an additional year. Fantastic Fiction has been a bright light in the speculative fiction community for nearly two decades, and because of your help we will continue for many more years to come. Thank you!